VN700 is the newest addition to Analog Arts products offering. One of its instruments is a precision vector network analyzer for frequencies between 1 Hz and 150 MHz. Analog Arts introduces XT995, a time domain reflectometer with auto test capability, With a 0.5 mm resolution and a noise level of less than 2 mV, it is intended to test high quality cables for kinks, cramps, shorts and opens. VT995, a time domain reflectometer, is the latest product offering from Analog Arts. The device is intended for precision analysis of energized cables. 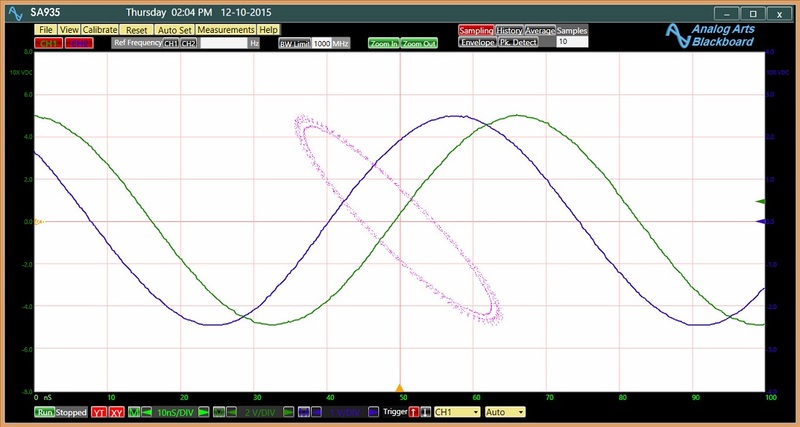 Analog arts introduces AG900, a 1M sample arbitrary waveform generator. The product features synchronization capability with similar devices and can be clocked with both external and internal sampling signals. 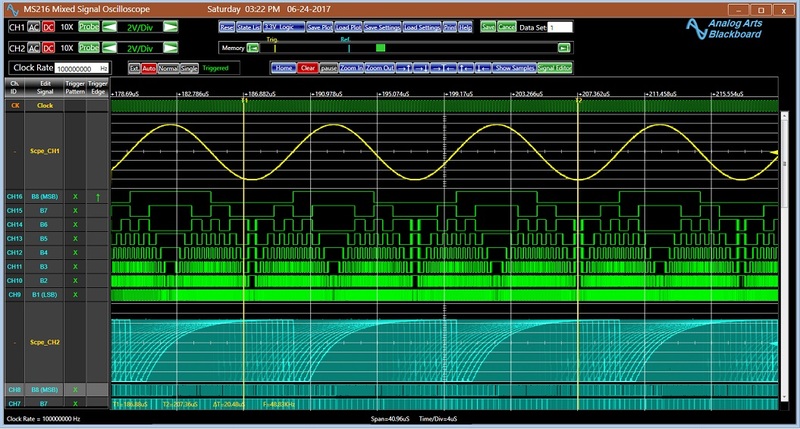 Analog Arts introduces MS216, a mixed signal oscilloscope, (data sheet.) It features 2 analog and 16 digital channels. It also includes a dedicated high bandwidth oscilloscope, spectrum analyzer, phase and frequency meter, and a data recorder. To review its features, download and install Analog Arts application software and for more information contact Analog Arts. Analog Arts introduces a family of high performance wide-band frequency and phase analyzers; details at: SF880 News Release, Affordable FRA, and SF880 Nachrichten. Analog Arts has organized an engineering team to assist customers, particularly in application specific applications. The team works closely with our partners to define solutions to challenging problems and then help integrating the product into the final application. In the pursuit of this policy, Analog Arts has released a DLL (Dynamic-link library) package, and an automation sample program to be used as guideline. 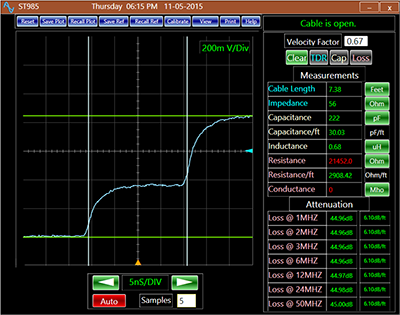 Analog Arts introduces ST985, TDR cable analyzer, designed to automatically test various cable types for faults, measures cable’s length, impedance, resistance, capacitance, inductance, and transmission loss. 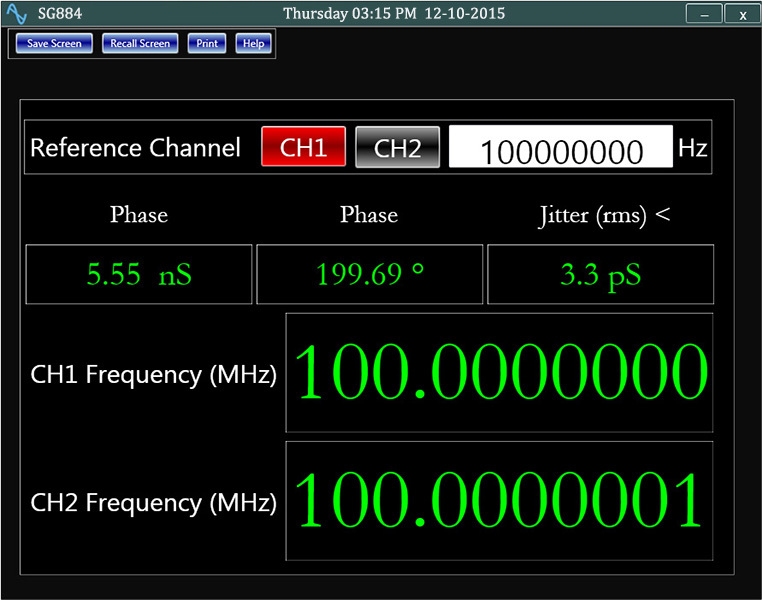 The TDR acquisition bandwidth is around 1 GHz, and the stimulating step signal rise time is less than 1 nS. 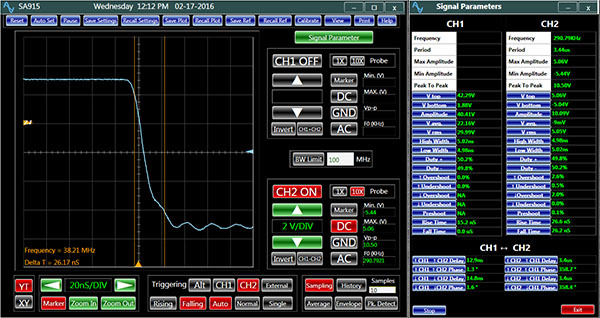 Analog Arts introduces fully automated signal parameters processor as part of its oscilloscope series. This feature is activated with a click of a button. It measures different parameters of channel 1 and 2 waveform and lists them at the same time with the oscilloscope display. The demo application software helps you explore this new feature. Analog Arts releases the first phase of its Blackboard application software. The software has been optimized for efficiency and user friendliness. 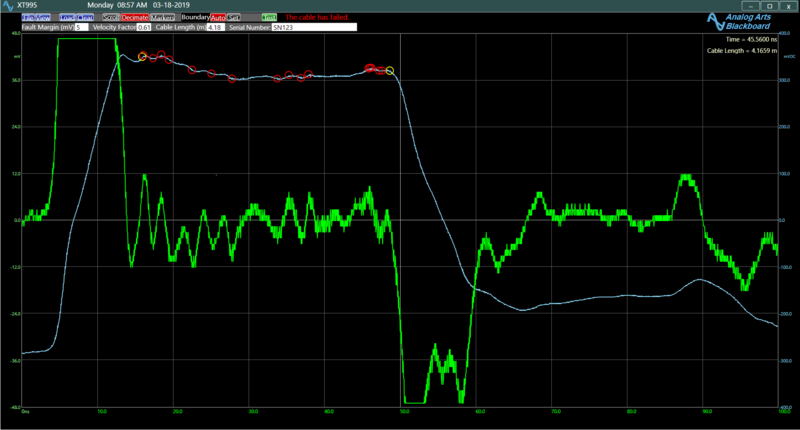 In addition the oscilloscope window has been designed to be configurable to virtually any size monitor.